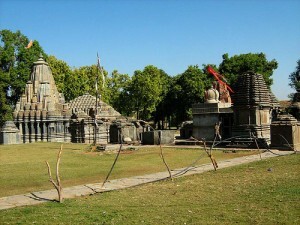 Arthuna is located 55 km rom Banswara and is known for its antiquity. The area adjoining Arthuna around Lankiya Village has remains of Shaivite Temple. Some of the idols found here bear inscriptions dating back to 1173 and 1194. The statue is considered to be a marvellous piece of Indian sculpture. Another idol found is that of Lord Hanuman seen in a very unusual posture. In an around the village of Arthuna, clusters of ruined Hindu and Jain Temple of the 11th, 12th and 15th century still exist. This entry was posted in Arthuna, Rajasthan and tagged Shiv Mandir. Bookmark the permalink.